The Harrod Sport ® Crowd Protection Ball Stop System has been designed as a lightweigt temporary system for use in Stadiums for pre-match warmups to protect members of the crowd from being struck by stray balls. Uprights are manufactured from 80mm diameter aluminium. 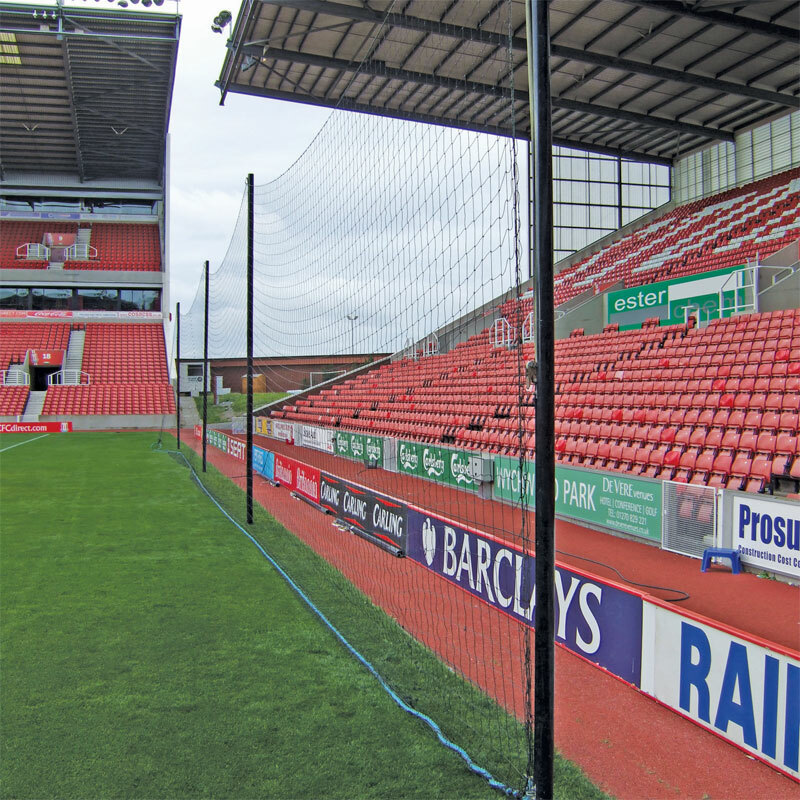 2.5mm x 120mm mesh netting is included. Upright is 5.392m long and the Pole stands 5m out of the ground when inserted in the socket. The Crowd Protection System is not suitable for use in wind exposed situations and should be taken down after use. 20m Crowd Protection Ball Stop System - complete with 3 x 80mm diameter aluminium poles. 30m Crowd Protection Ball Stop System - complete with 4 x 80mm diameter aluminium poles. 40m Crowd Protection Ball Stop System - complete with 5 x 80mm diameter aluminium poles. 50m Crowd Protection Ball Stop System - complete with 6 x 80mm diameter aluminium poles. 60m Crowd Protection Ball Stop System - complete with 7 x 80mm diameter aluminium poles.